Steve Booth, President & CEO, provides a quick introduction of Baird's history and overviews some of the information you’ll learn. Click "Extras" below to listen to the introduction. Our founding father, Robert Wilson Baird, insisted on “integrity in everything we do” as he guided the firm through its first 40-plus years. This mantra remains a key cornerstone to our firm yet today. Mr. Baird was indeed tall, but it is his character that casts the giant shadow over the 95-year history of our firm – with traits that have sustained the firm in both robust and stressful times. Mr. Baird was responsible for laying the cornerstone principles that are key to the success and sustainability that Baird enjoys. Five such cornerstones rife within the Baird of 1919 are alive and well in the Baird of today. 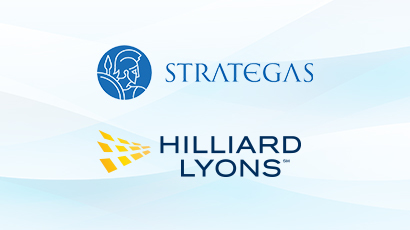 They are: integrity in everything we do, giving back, clients first, leadership and expertise. He embodied them all but we will focus on one: giving back. Whether on behalf of a worthwhile community cause or some corporate board that called on Mr. Baird for help, he answered readily. Interestingly, he noted the responsibility in pursuing what some might call the “virtue of selfishness.” Whatever might help the community would, in turn, make for a more successful environment for our firm. That same spirit influenced his joining the board of Chain Belt (now Rexnord) and Roundy’s as well as tackling the work of many Milwaukee-area charities. This “giving back” is infused in the leaders and associates of Baird throughout its history. First Wisconsin Group was a three-pronged entity as depicted in its triangular logo. Robert Baird managed the bond effort: First Wisconsin Company. Many iterations of the name would follow, but this logo survived well into the 1930s. 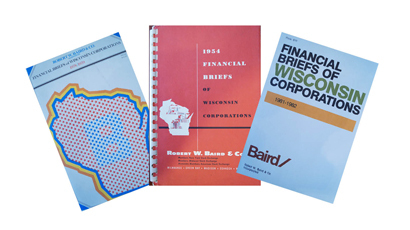 Not only did we have great minds as associates, but Baird also tapped into the best business minds of Milwaukee to help our firm during its early years. 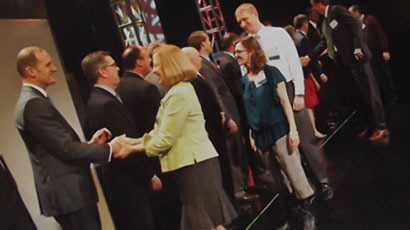 Our 40 corporate directors included leaders of prominent Wisconsin businesses like A.O. Smith, Falk, Kimberly-Clark, Pabst Brewing, Rexnord and Wisconsin Electric. Many of these firms also became corporate clients. These relationships demonstrated our respected standing in the community and helped lead to long-term success. 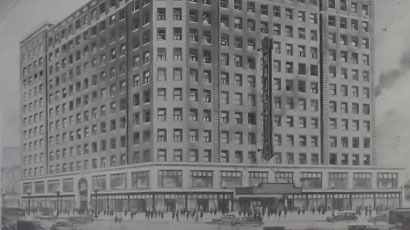 The First Wisconsin Company underwrote and sold bonds such as the Empire Building in downtown Milwaukee – still standing today as the Riverside Theater. 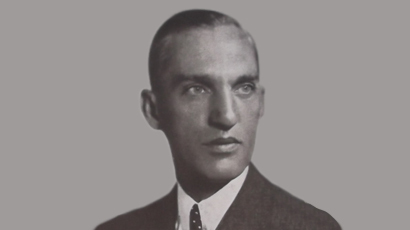 This focus considerably eased the impact of the 1929 crash. From our earliest days, we were experts in bonds. Early municipal clients included the Clark County, Wisconsin, Insane Asylum, Madison, Wisconsin, School District, Wauwatosa, Wisconsin, School District, and Waukesha, Wisconsin, road improvements. We also dealt in soldiers’ bonus bonds, Treasury bonds and even many diverse international bonds. 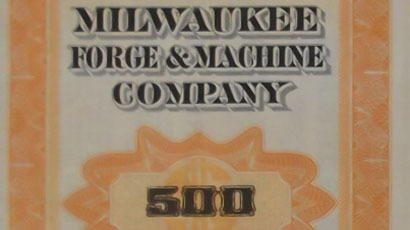 Our company underwrote bonds for Milwaukee Forge & Machine Company just before the market crash. That company celebrated its 100th anniversary in 2013, a testament to both firms for values that stand the test of time. 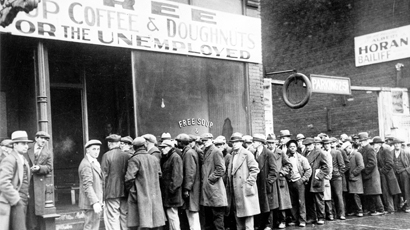 Hit but not wiped out by the Depression, Baird's management bought $1 million in common stock from our parent corporation, Wisconsin Bankshares, to allow us to control our own destiny. This forward-thinking, long-term approach would be repeated 70 years later. Clarence Bickel (left), Robert Baird (center) and Robert Haack (right) each served as chair of the National Association of Securities Dealers. Our firm contributed mightily to the success of self-regulation. Beginning with our founder, Robert Baird, our firm has put its belief in fair dealing to the ultimate test in sending three of our own to serve as chair of the National Association of Securities Dealers (NASD). 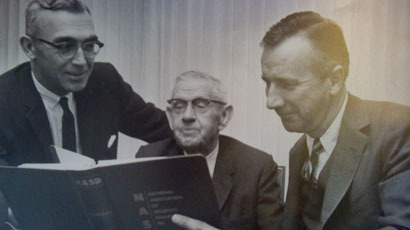 Baird himself was the chair in 1941; Clarence Bickel led the NASD in 1952. 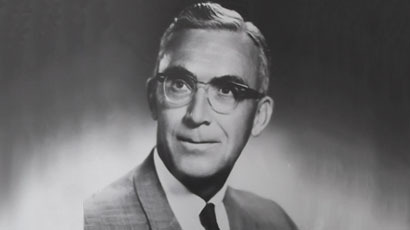 Robert Haack became the first paid president of the NASD and served in that capacity from 1964 through 1967. 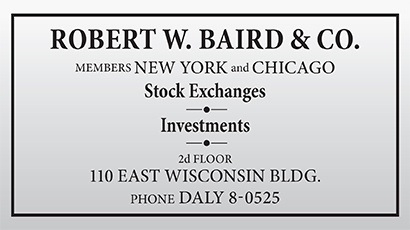 Robert Haack had joined our firm as a stockbroker in 1940 after graduating from Harvard Business School. 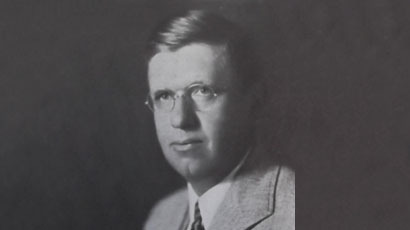 He left Baird to become president of the NASD, and that position led to him becoming president of the New York Stock Exchange (NYSE) for 10 years. He was a reformer who pushed for increased automation and helped Congress to create the Securities Investor Protection Corporation (SIPC), which works for the investment business much like the Federal Deposit Insurance Corporation (FDIC) does for the banking industry. This development greatly improved the confidence levels of the investing public, not in the market per se, but in the investment firms themselves. Throughout its storied history, Baird has espoused fairness and integrity. We didn’t simply follow industry methods and rules to ensure these conditions exist, but rather led the development of such regulation. 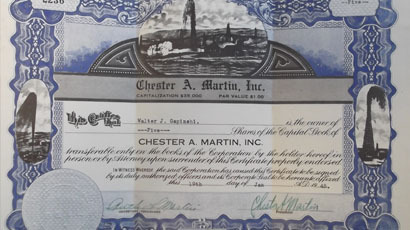 This stock certificate from 1945 was typical of the equities marketed in postwar America. It promised a small piece of the oil and gas industry that would spur economic growth in the 1950s and 1960s. In 1948, 12 partners signed our firm’s application to the New York Stock Exchange. In 1948, we already could claim a healthy list of major industrial and commercial clients: Allis-Chalmers, Chain Belt, Globe-Union, Harnischfeger, Kearney and Trecker, Louis Allis, Marshall & Ilsley Bank, Perfex, Le Roi, Schuster, Weyenberg Shoe, Wisconsin Electric Power and Wisconsin Public Service. 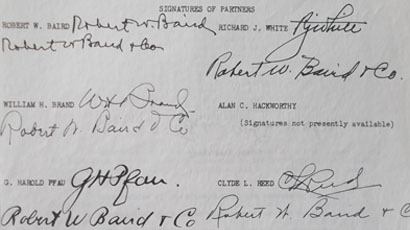 When those 12 partners – Robert W. Baird, Chairman; William H. Brand, President; G. Harold Pfau; Ludlow F. North; Lee C. Rasey; Clarence A. Bickel; Richard J. White; Alan C. Hackworthy; Clyde L. Reed; Newman L. Dunne; J. Garrett Kamerling; and Frieda Mueller – signed that membership to the NYSE, our firm greatly broadened the services we could bring to our existing and ever-growing list of clients. Frieda Mueller was one of 12 partners when Baird joined the NYSE in 1948. She was an example of Baird's values in action – performance with integrity and service to the community. Ms. Mueller was deeply committed to community service. Tapped by the mayor, Frieda shared her financial planning expertise with the community. 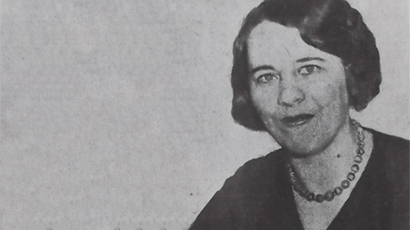 She served as the city of Milwaukee's public debt commissioner from 1925 to 1945. Mueller also served on the board of the Lakeside Children’s Center, was treasurer of the American Association of University Women based in Washington, D.C., served on the building committee of the College Women’s Club, as well as served as a charter member of the Zonta Club, a women’s service organization. "Altho mathematics seems no longer to be a required subject at Wellesley, I’m happy it was in our day. It was of great help in my long business life. Because so few women have had financial backgrounds and training, I’m constantly called on to give financial help. My hobbies are related to my business experiences! I’m always working on the financial picture of welfare organizations and clubs. At the moment it’s the new building plans of the College Women’s Club and the 12-story apartment for 'senior citizens,' the welfare project of our Zonta Club. It’s FUN!" William H. Brand, our second President, had a harder edge to him than Mr. Baird, but – like Baird – he expected much of associates. After World War II, Wall Street pushed for Main Street to buy into corporate America. Baird joined in that effort, advertising our expertise to guide the conscientious investor toward a responsible portfolio. Our employee handbook from the late 1950s set the tone for benefits enjoyed by our associates. Our spirit has always been to help those in need because the happier and healthier they are, the better the work they do. Bickel, known as “Bick,” was an intellectual who loved solving complex issues and was passionate about investment banking. Clarence Bickel certainly wore the “Leadership” banner well and often. A leader in the Catholic community, Bickel was a key advisor to the Milwaukee archbishop. Bickel served as chair of the NASD in 1952 and governor of the NYSE for two terms. 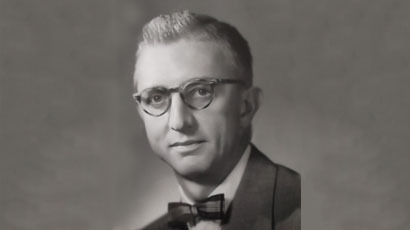 In 1965, in order to fulfill these industry responsibilities, he left the day-to-day operations of Baird to Carl Wilson, our fourth President, and “Bick” became Chairman – a position he held until his retirement in 1970. As Bickel’s connections grew, so did the demand for him to serve on various boards. Bickel served on the board of directors of Ed. Schuster & Co., Inc., The Louis Allis Company, Kearney & Trecker Corporation, Johnson Service Corporation, Milwaukee Sanitarium, Heil Company, and Geo J. Meyer Mfg. Co. He quietly declined an offer to serve as NYSE president in the early 1960s. 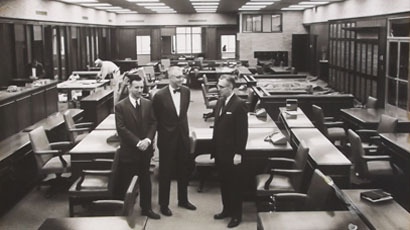 Baird partners Robert Haack, Carl Wilson and Clarence Bickel pose in our new offices in 1963. 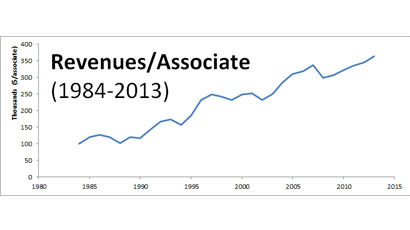 The 1960s were a time of significant growth for us. Carl Wilson was a basketball star in college and a man of the people at Baird. He vigorously pursued civic improvement campaigns and always sported a bow tie. C.P. enthusiastically followed the tradition that our leaders must invest their time, talent and treasure in our communities. Wilson chaired the 1954 campaign for the United Way of Greater Milwaukee, raising $3.9 million. 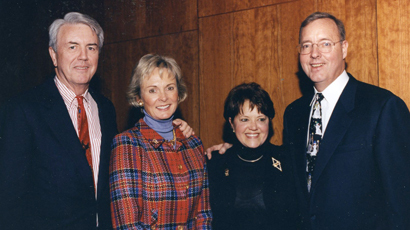 In 1967, he helped launch Baird Foundation to formalize our associates’ charitable efforts. In 1972, he helped raise $18 million in conjunction with A.O. Smith to relocate the Medical College of Wisconsin to the Milwaukee County grounds. He also served on the boards of Columbia Hospital and the Greater Milwaukee Committee. 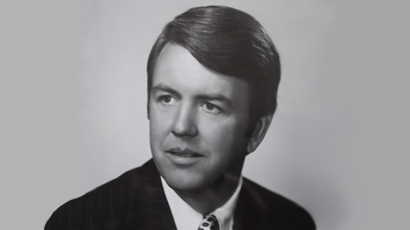 Upon his retirement in 1978, Wilson led multiple fundraising campaigns to benefit the community. The Financial Briefs of Wisconsin Corporations highlighted companies in our own backyard bringing more Wall Street attention their way – helping provide more capital for local corporations and more investment choices for institutional investors. 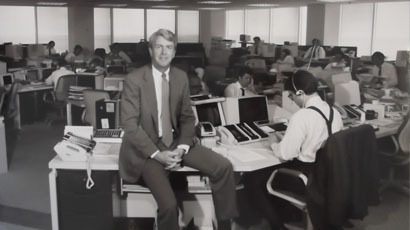 Baird was a second home for Brent Rupple, who faced the challenge of leading the firm during the recession of the 1970s. Rupple worked at Baird for his entire career. Brent Rupple perhaps exceeded Mr. Baird’s wildest dreams when it came to serving the community, sharing his time and talent with an impressive slate of organizations. 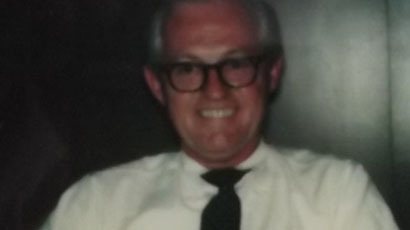 He was a member and former chairman of the executive committee for the University of Wisconsin Foundation as well as a past president of the Greater Milwaukee Committee. Rupple also served a leading role with more than 25 major groups in the Milwaukee area, including the American Red Cross, Milwaukee YMCA, United Way of Milwaukee, the Medical College of Wisconsin, Milwaukee Heart Research Foundation, the Milwaukee County Council of the Boy Scouts of America, Carroll College, the Milwaukee Symphony and more. His dedication to community service helped shape our culture, and led to the creation of the Brenton H. Rupple Citizenship Award in 1997. The award is given each year to an associate who demonstrates an outstanding commitment to the community. Rupple himself received the award in 1998 in recognition of his myriad of contributions. Coincidentally, the award was given as Mr. Rupple was celebrating his 50th anniversary of joining Baird. 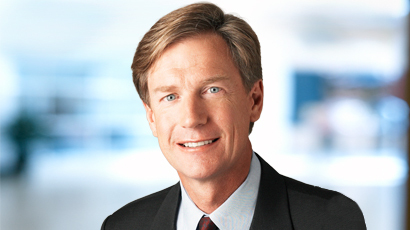 Besides his leadership of Baird, Brent was always involved in leadership roles in the industry. He was an executive committee member and a former vice chairman of the Securities Industry Association and served as a governor for the Investment Bankers Association, the American Stock Exchange and the Securities Industry Association. Rupple also served in leadership roles with the Securities Investor Protection Corporation and the Financial Accounting Standards Advisory Council. 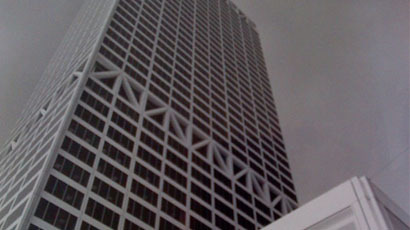 In 1974, we moved into the brand new First Wisconsin Center, leasing three floors and 66,000 square feet. More than 40 years later, it remains the home for our headquarters. 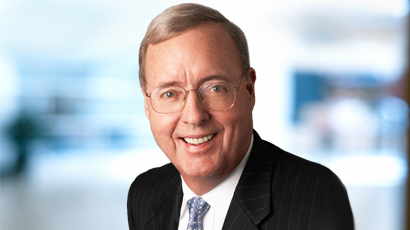 Fred Kasten joined the firm in 1963 and rose to the presidency in 1979. His steadfast insistence on values and culture helped Baird prosper when other firms failed to do so. 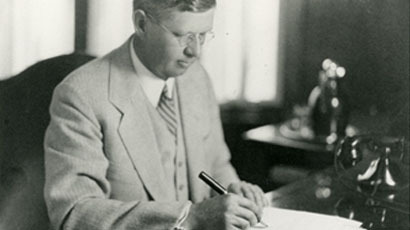 Kasten’s community and industry service continued the considerable record of his predecessors. Among them, he served on the board of the Midwest Stock Exchange and was a director of the Securities Industry Association. He has chaired the United Performing Arts Fund and is a trustee of Lawrence University. One significant act of leadership happened in the mid-1990s when Kasten wrote down those values that had sustained Baird throughout its long history. 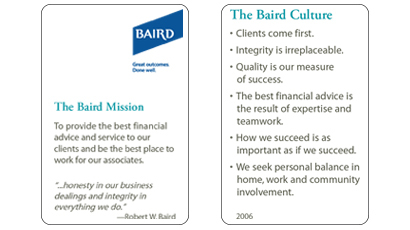 These values and practices underscore the culture of Baird. 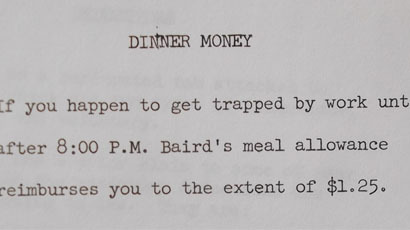 The booklet entitled “The Baird Way” was a primer circulated to every associate and provided a document against which to measure all of our actions. The 1980s brought tremendous growth, but the firm still focused on our "clients come first" approach, as touted in these ad mock-ups from the period. In the 1980s, we produced a public television show on investment topics, “Business of Wisconsin,” hosted by one of our rising stars, Peter Banzhaf. 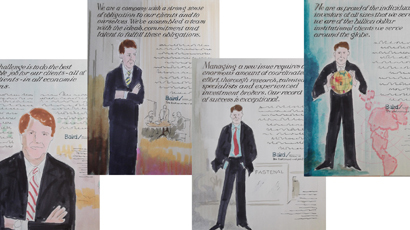 Banzhaf, a journalist-turned-stockbroker who joined the firm in the 1960s, grew to become our public face. Peter died unexpectedly in 1989. "Better Results from Better Research" was our tagline in the '80s. 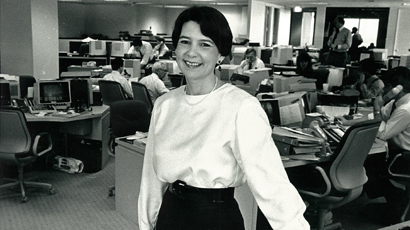 Judy Scott, one of our star research analysts, believed Baird did and does research better than anyone: "I really feel that we can know the companies in our area much better than somebody in New York..."
Our sixth President, Fred Kasten, provided calm leadership through the tumult of October 19, 1987 – a dark day for the market, but a time when Baird’s culture shined brightly. 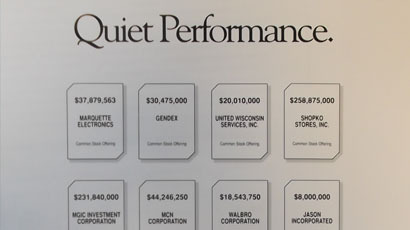 In this 1991 advertisement, we proudly summarized the equity capital raised by our firm during that year. One of the key reasons that we opened the Naples, Florida, office in 1987 was to serve our own Midwestern clients who had migrated there before us. This phenomenon continued and we sought more professionals to take care of investor needs. In 1991, we made a bolder move to solidify our presence in Florida by acquiring Williams Securities, a firm of 35 people based in Tampa. Beyond the retail brokerage implications, this acquisition was important because it gave us access to investment banking opportunities throughout the Sunshine State. Fred and Suzie Kasten, Chris Rither (Executive Assistant) and Paul Purcell, Baird's next President. 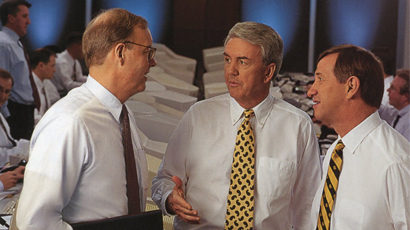 Paul Purcell, Fred Kasten and Bryce Edwards, head of Private Client Group in the mid-1990s. 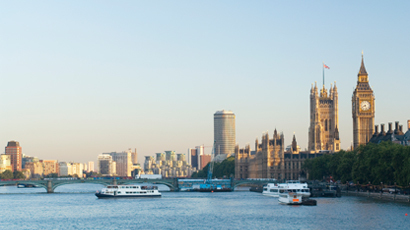 With the 1999 acquisition of London-based Granville, Baird was ever closer to realizing one of its goals: being the best middle-market firm in the world. Paul Purcell was the driving influence for Baird becoming the best middle-market investment firm in the world and the best place to work for our associates, as recognized by FORTUNE magazine. Continuing the philanthropic leadership of past Baird executives, Paul Purcell has demonstrated a commitment to giving back to the community, particularly in the area of education. His involvement has benefited educational efforts in Milwaukee, Chicago and beyond, ranging from the elementary to graduate levels. Purcell serves on the board of trustees of Alverno College in Milwaukee and has served on advisory councils at both his alma maters, the University of Notre Dame Mendoza College of Business and the University of Chicago Booth School of Business. Purcell also serves on the board of directors of Cristo Rey Network, a Catholic organization dedicated to preparing high school students for college, and as board co-chair of Teach for America - Milwaukee, part of a national effort to educate impoverished youth who may otherwise fall through society’s cracks. He also serves on the board of Junior Achievement of Chicago, an organization that increases the financial literacy of hundreds of thousands of young people. Previously, he served on the board of directors of Schools That Can Milwaukee Inc., a nonprofit that aims to bootstrap local schools to success. 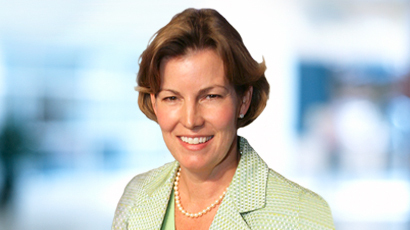 Baird’s Leslie Dixon, Chief Human Capital Officer, now serves on this board. His extensive resume of community involvement also includes board service for Discovery World, Milwaukee’s hands-on technology museum, and the United Performing Arts Fund, which underwrites the performing arts in Milwaukee. Purcell also served on the board of the Greater Milwaukee Committee, whose mission is to improve the region, and on which Baird’s Mary Ellen Stanek, Director of Baird Advisors, now serves. Purcell has earned recognition for his efforts to benefit the community. Milwaukee’s Three Harbors Council of the Boy Scouts of America awarded Purcell its Distinguished Citizen’s Award in 2012, the same year the Milwaukee Public Library awarded him its annual Benjamin Franklin Award and the Harvard Business School Club of Wisconsin named him the Wisconsin Business Leader of the Year. Despite mainly operating out of Chicago, Purcell also took the time in 2014 to co-chair Milwaukee’s United Way community campaign. The campaign surpassed its goal, raising over $54 million, with proceeds benefiting local charities. “How you handle the really hard things is what determines greatness,” says Leslie Dixon, Chief Human Resources Officer. 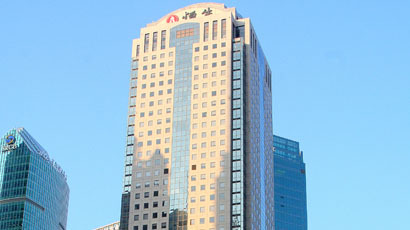 Baird Capital entered the Asia market in 2003. 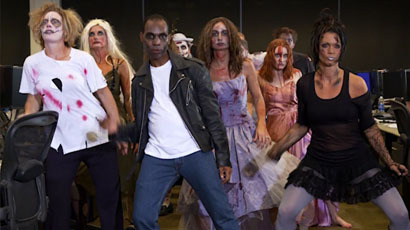 In 2011, Baird associates shot a music video, a “Thriller” spoof, and raised $9,000 for United Way. Everyone “checked their egos at the door” and danced for a great cause. It’s not just the coveted FORTUNE list where we consistently score a top spot as a progressive workplace (12 consecutive years). Pensions & Investments has ranked Baird Asset Management first among managers of our size in its Best Places to Work in Money Management for three years running. We also qualified as a Best Place to Work for lesbian, gay, bisexual and transgender equality by the Human Rights Campaign Foundation in 2015. The quality of our performance has also been lauded by the press and industry organizations. We have earned top rankings for “overall research and analyst service quality” “overall sales quality” and “access to small-/mid-cap companies’ management” for more than a decade in Greenwich Associates’ annual survey of professional money managers. 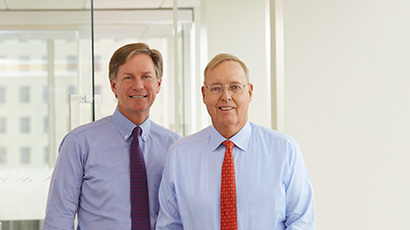 Barron’s has ranked us among their top 40 wealth managers for eight years running. The Bond Buyer has awarded our Public Finance division six “Deal of the Year” honors over the past decade. And, for their excellent stock picks and earnings estimates, our talented research teams have consistently earned us a bevy of prestigious StarMine Analyst Awards for 14 years running. Our commitment to philanthropy gets noticed. In 2013, the Association of Fundraising Professionals, Southeastern Wisconsin Chapter honored us with the Wisconsin Organizational Philanthropy Award. That same year, the Nonprofit Center of Milwaukee, Inc. granted us its Inspire by Example award for our signature Baird Gives Back Week, during which over 1,000 associates volunteered over 3,000 hours on behalf of 100 nonprofit organizations worldwide. The story of stock ownership at Baird is a remarkable tale of spreading the wealth, illustrating our core values. Buying ourselves back from Northwestern Mutual in 2004 was a defining moment in that saga. Baird has emerged stronger from each national and international economic downturn. Sustaining culture is the responsibility of every associate. Our mission statement and cultural values are periodically reviewed by our Executive Committee. More than words on a plaque, they are a living experience we commit to for our clients and each other. 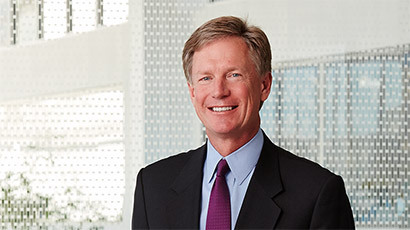 Steve Booth became our President in 2014 after leading our Industrial and Global Mergers & Acquisitions teams. 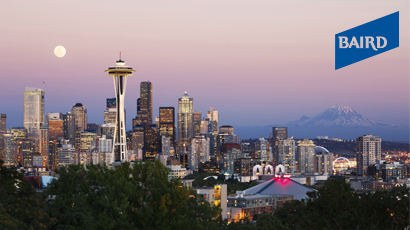 In 2014, Baird acquired McAdams Wright Ragen, Inc. (MWR), a Seattle-based firm with 85 Financial Advisors in seven offices throughout the Pacific Northwest. MWR's and Baird's cultures were hand-in-glove. On January 1, 2016, Steve Booth succeeded Paul Purcell as CEO, concluding a thoughtful, multiyear transition that started in 2013. 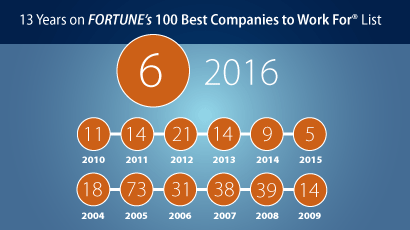 In 2016, we celebrated our 13th consecutive year on FORTUNE’S 100 Best Companies to Work For® list. However, we know we have not arrived. We continue to grow, seek out the best for our clients and each other. It is a never-ending journey! Ever-changing needs in the market place demand that we continue to expand and enhance our expertise and offerings for individual, municipal and institutional clients. Baird passed along gains from “The Tax Cuts and Jobs Act” in 2018 to our associates and communities. Every full- and part-time associate received a one-time cash benefit, with Managing Directors and Directors each able to grant a $1,500 donation to a charity of their choice. These charitable gifts added nearly $1.2 million to Baird’s annual giving of $3 million, helping to benefit more than 650 nonprofits. 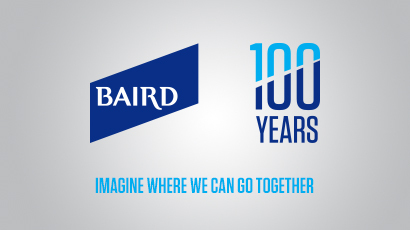 Baird celebrates 100 years of client service and community involvement!